I am obsessed with cream eyeshadows and there's one I've been eyeing for ages but hadn't had the courage to splurge on, until now! 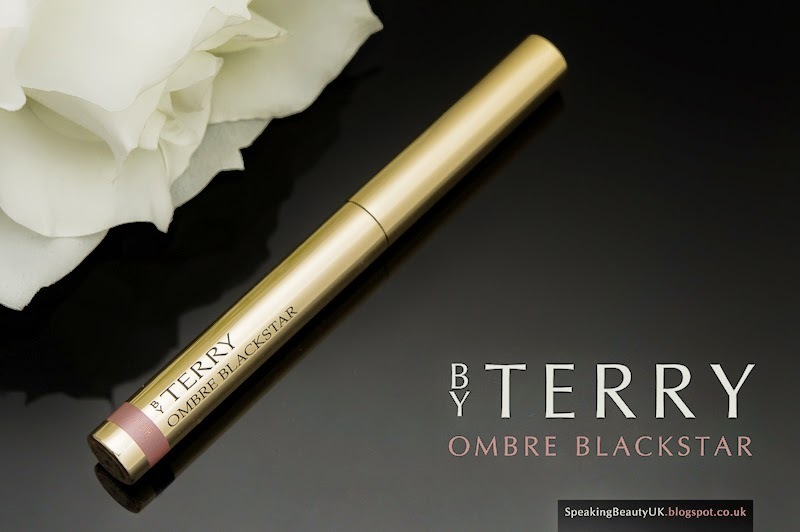 By Terry Ombre Blackstar in Misty Rock is a very raved about eyeshadow stick that lives up to its reputation. It's truly amazing!!! I love the packaging. It's so fancy! One thing I really like is that it shows the colour at the bottom, so that if you have more than one laying around your makeup storage, you can easily identify the one you want. Also, the lid is very sturdy, so you don't need to worry about it opening inside your handbag. 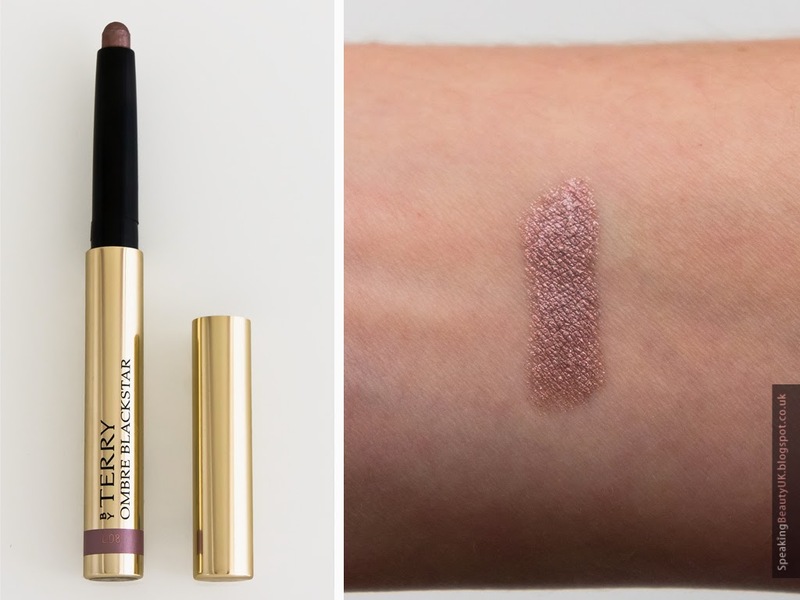 No 5, Misty Rock is a gorgeous purply taupe, which I think is perfect for my brown eyes. The texture is so smooth, it glides on really easily. I tend to use it as a light wash of colour, all over the lid. I apply it straight from the tube and then blend just the edges either with my fingers or my MAC 217 brush. I usually apply it lightly but you can build it up to get a more opaque and intense colour. I've been getting so many compliments and lots of people have been asking me what I'm wearing, whenever I have this eyeshadow on. The staying power is phenomenal, unlike anything I have tried before. There's enough time to blend or fix potential mistakes before it dries completely, but once it sets, it won't move. I have oily lids and I can wear it without a primer. And the good news is, even though it stays put all day, once you try to remove it, it comes off fairly easily, without the need for too much rubbing. I'm not a huge fan of too much glitter, but in this case I think the sparkly texture makes the product look very glamorous. There's a tiny bit of glitter fall out throughout the day, but it's minimal and because the glitter is so fine, I don't really mind. It stays only around my eye area and I think it actually looks kinda cute. I haven't tried it with a primer yet, but I believe that would help to hold the glitter in place. I am really impressed! It immediately became one of my favourite high end products. I bought it from Space NK, for £28. It's far from cheap but I think it's so worth the money. I'm actually thinking of buying 2 more shades, No4 Bronze Moon and No15 Ombre Mercure. So pretty and luxurious, in love with the shade! This looks so lovely! That color would look gorgeous in the winter! Not going to lie, I have been eyeing this up for quite some time on the Space NK site, it looks to be such a beautiful shade! I followed you via GFC...and ermm I was hoping if you liked my blog then..ermm you could do the same. Thanks. This product sounds amazing! Great review.